Like most published writers, I spend much of my time wondering why I'm not paid more than I am. I'm not sure I signed up for this, I think, as I contemplate my meagre royalty cheques. Of course, it's wonderful to have your books out there, but 'out there' is a bit of a vague designation, encompassing as it does a range from the cramming of multiple copies into every branch of Waterstones to the presence of one lonely copy in an independent bookshop in your home town. And if the surveys are to be believed, more of us find ourselves in the latter position than the former. Among many blogs and comments on making a living from writing, I found one recently from Emma Darwin which gave me pause for thought. The median income from professional writing - that is, for those who spend the majority of their time writing - is down, according to the ALCS, from £15,450 in 2005 to £11,000 a year in 2013. That's people who spend the majority of their time writing. Even if they spent only half their working hours writing, that's the equivalent of an annual wage of £22,000, and the likelihood is that they spend less than half not writing, so their annual wage is likely to be nearer £15-20,000. Currently, the UK median wage for full-time workers is £27,000. Advances, as Darwin notes, have steadily fallen over the last ten years, and royalties are squeezed by the sheer number of published and self-published books competing in the marketplace, as well as discounters like Amazon, whose sales result in mere pennies per book for the writer. So what made it easier to make a living from writing ten or twenty years ago? 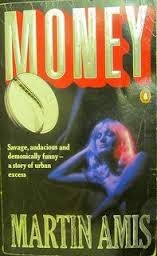 In trying to fathom out the economics of publishing, I have been haunted by a quote from Andrew Wylie - the jackal of literary agents - who once said that if one of his writers got paid royalties, he hadn't done his job properly. The implication was that he aimed to get such a high advance from the publishers that the book couldn't possibly earn out. Ever. What makes that an attractive proposition for publishers? It can surely only be the prestige of publishing a well-known and highly respected literary writer. Well, I imagine the commissioning editor saying as he joins his fellow publishing mates for a drink, we've got the latest Martin Amis. And they all turn green with envy while rapidly increasing their offer to Ian McEwan. Is that how it works? Or worked? It implies a goal, for publishers, that is not necessarily that of making a profit. Rather it's something to do with having a part in producing the most respected art. (I leave aside whether you think Amis or McEwan represent the highest pinnacles of writing - but undeniably there are literary critics who would claim this to be so...) Certainly, however inflated the big-names' advances got, there was a willingness to support the middle tier of good but less commercially successful writers that argues a focus on quality writing rather than solely on profit. At some point in the recent past, Amazon (and perhaps Harper-Collins) changed all that. A recent book (One Click: The Rise of Jeff Bezos) on Amazon had some fascinating things to say about Bezos's attitude to the publishing industry. Basically, as the slick young tech-geeks of Amazon started to investigate publishing they realised that the industry was run by editors, who were primarily interested in the writing and didn't pay a great deal of attention to the money. Art trumped commerce. As a consequence, Amazon started to take them down - and lo and behold, ten or fifteen years later, publishers have had to respond. Now, generally, commerce is starting to trump art - something Ursula le Guin has criticised fiercely in this wonderful recent speech at the National Book Awards. As le Guin points out, "the profit motive is often in conflict with the aims of art", and when profit (sales and marketing) starts to rule what will and will not be published, then literature suffers. But how to counter this? Can what le Guin calls "responsible book publishing" exist any more in an era where market profit appears to have triumphed over every other measure of worth? I think it still does, in little niches here and there and in the efforts of editors to circumvent sales and marketing and still get great books published. I think there are still stupendous works of art being produced out there. But undeniably this is at the expense of authors, who are holding fast to their principles but being paid less and less for what they do. So what can we do, as writers, in a society that does not value the art of writing? We can give up writing - and some of us will simply have to, because we can't pay the bills. Or we can try and play the game, and aim our writing closer and closer to what le Guin calls "the production of a market commodity". Or we can carry on being artists, knowing that what we do, interrogating received truths, challenging people's beliefs, encouraging the imagination, has immense value for many people. But not for enough people to pay us a living wage. There is, however, another kind of perspective on what is happening in publishing. 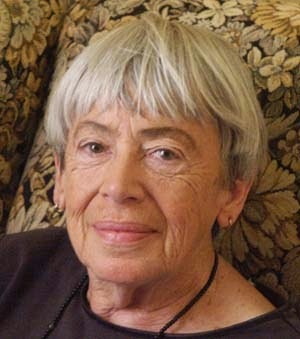 Some would dispute that the sort of distinction between art and commerce that le Guin posits is valid. Notions of art, in this view, are not universal, they are culture-bound and generally elitist. The upper strata supports 'art' that it enjoys and appreciates (opera) while denigrating commercial art (soap opera), yet commercial art exists precisely because it is the favoured art of the majority. Thus it would be fundamentally wrong and undemocratic to claim elite art as somehow of greater worth or value. From this perspective the actions of sales and marketing teams who refuse to cross-subsidise experimental or literary fiction with the profits from mass-market romance are fundamentally democratic. Money is the arbiter of worth. 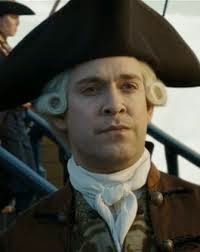 "Currency", as Lord Cutler Beckett says in the second Pirates of the Caribbean film, "is the currency of the realm." It's an argument with merits. For the French sociologist Bourdieu, the upper echelons prefer 'high' to 'low' art because of the way class acts as a 'learned' practice, rather than because of any universally valid aesthetics. There is certainly something very elitist about the state subsidising opera when 90% of the population would consider it nothing but caterwauling in costumes. 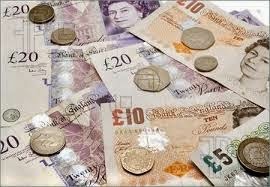 Equally, should the government fund grants for small touring theatre companies whose audiences are in their hundreds? The debate is not dissimilar to the one we recently had on ABBA about children's reading. Is it right to censure children for reading commercial pap, to see the mere act of reading as not in itself enough, or is this elitist? Should we instead respect the idea that many children prefer undemanding commercial fiction and that it has as great a worth as more carefully crafted children's books? In the money world of Amazon, popular commercial books clearly have inherently greater worth than that those that sell less well, regardless of any judgements of the quality of the writing. 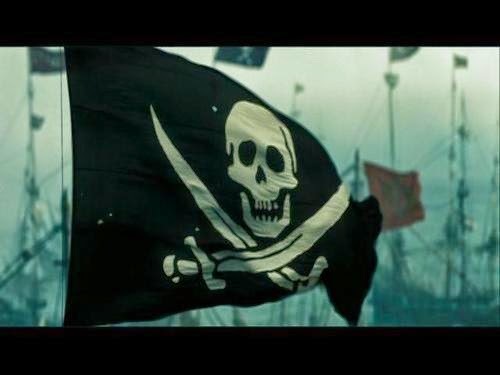 Well, to continue the Pirates of the Caribbean theme, let me nail my colours to the mast. I believe some writing has more merit than others. Writing as art aims to interrogate the status quo, to provoke questions, to encourage readers to think about the world they live in. It draws on carefully honed craft and on a deep and wide imagination. I believe the more people that are encouraged to read or have access to this kind of writing, the better for society as a whole. I believe commercial considerations do not always favour writing as art, because it is often challenging, unsettling, difficult and it takes time to get right - but it changes readers, and inspires them, and once they 'get' it they will seek out more of that kind of art in all areas. They will be more questioning in their daily lives, more open, more imaginative, and they are more likely to challenge received wisdoms. This is a good thing. Let me just make it clear though - when I say writing as art, I am not upholding the 'high'/'low' art distinction, which would see le Guin's science fiction/fantasy novels as a poor second to literary fiction. I am not condemning you all to reading Kafka or Joyce! (Excellent as both authors are). What I would consider 'art' in writing is intelligent, thoughtful, honed writing, aiming to be the best it can be, whether that's the best sort of comic book story or the best fantasy or the best romance. Writing that aims to make its readers engage completely in the world it presents and hence inevitably reflect on the world they live in. Malorie Blackman's Noughts and Crosses is a good example; but also less overtly political books that just give free reign to the imagination - Philip Reeve's Mortal Engines, or Diana Wynne Jones's Hexwood. Luckily, in children's fiction there are some great examples that are both commercially successful and works of art - but it's still the case that the rewards for that great writing are not as high as they were. So, in the end, maybe we writers have to accept that we are not going to be top earners under the conditions of global financial capitalism. But we can contribute to sowing the seeds of imagination, thoughtfulness, empathy and a questioning intelligence in our readers that will hopefully one day contribute to undermining the dominance of that economic system. As le Guin points out in her speech, market-driven capitalism seems triumphant and unassailable. But so did the Divine Right of Kings, once. Cecilia Busby writes humorous fantasy for children of 7 upwards. Her latest book, Dragon Amber, was published in September by Templar. That Le Guin speech made me quite teary - there's a lady who knows! And I'm a huge fan of her books, too. I can't understand why there aren't more comments here... am tweeting it now! I seem to have chosen the two jobs where a decrease in income year on year is the norm, but it's sort of comforting to know I'm not alone! Lovely post, Cecelia. As you recognize, the choice isn't really between high art (opera) and "undemanding pap" (soap opera) - since some opera is in fact undemanding pap, and some soap opera is high art. I'm not sure how to define quality, but I'm sure it's not related to genre, and that that association is in itself an act of philistinism, turning what could be a transformative experience into a second-hand way of advertising one's social status. I absolutely agree that quality's not related to genre, and undemanding pap is often to be found between the pages of a highbrow literary novel! But I would argue that on the whole more honed, crafted, well-written, time-consuming (quality) work can't be sustained in an entirely commercialised industry without many of the the artists/craftspeople responsible accepting low rewards.